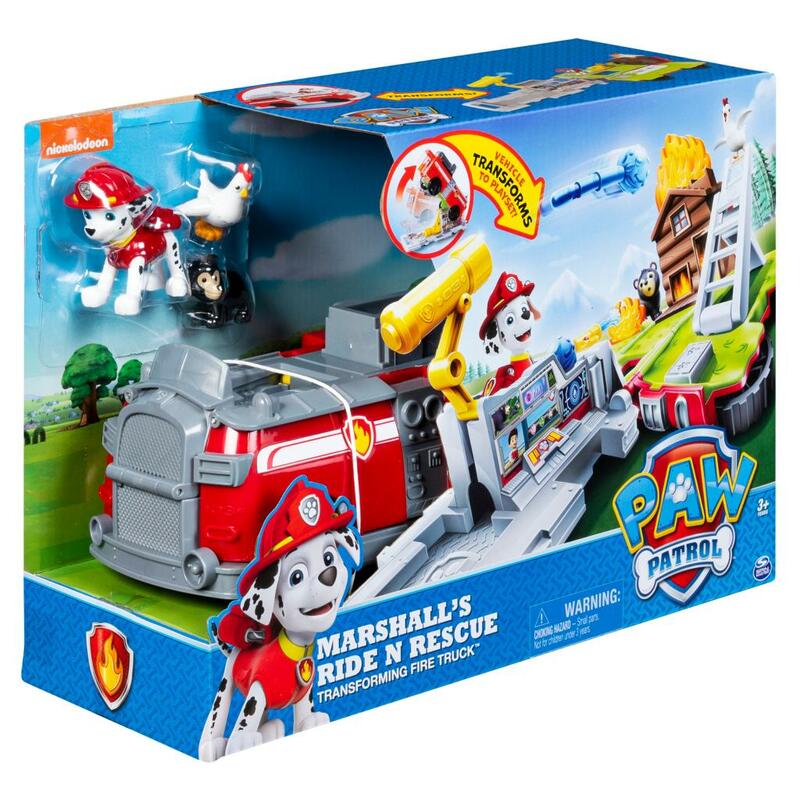 Race to adventure in Marshall’s Ride ‘n’ Rescue! 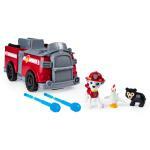 This PAW Patrol fire truck opens up, transforming into an action-packed playset! 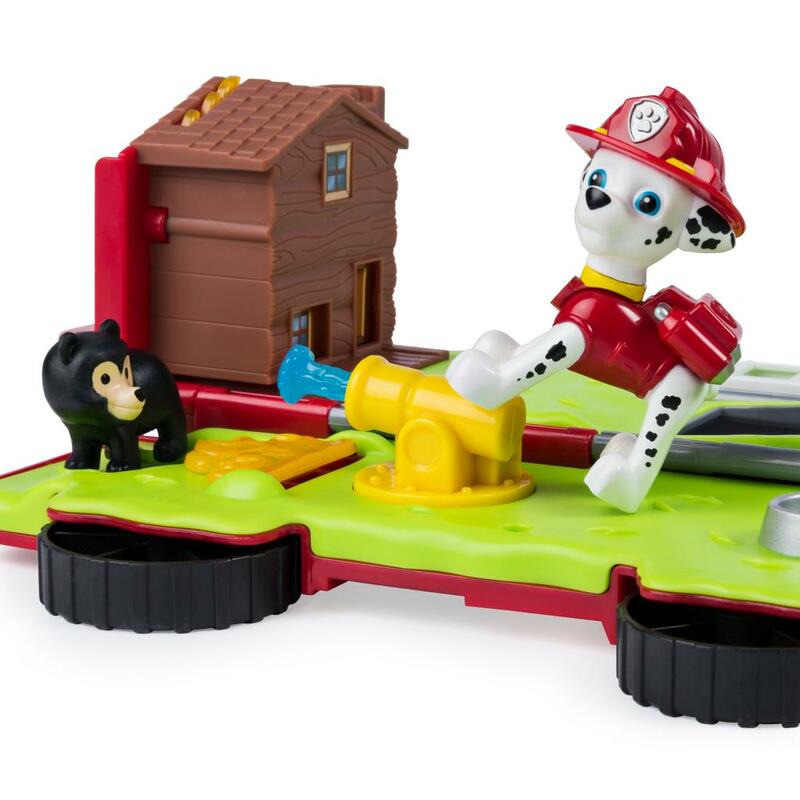 Your child can unbox their Ride ‘n’ Rescue, and unfold to discover a scene straight out of PAW Patrol. The barn is on fire; Chickaletta is stuck; and Teddy is caught behind a fire! 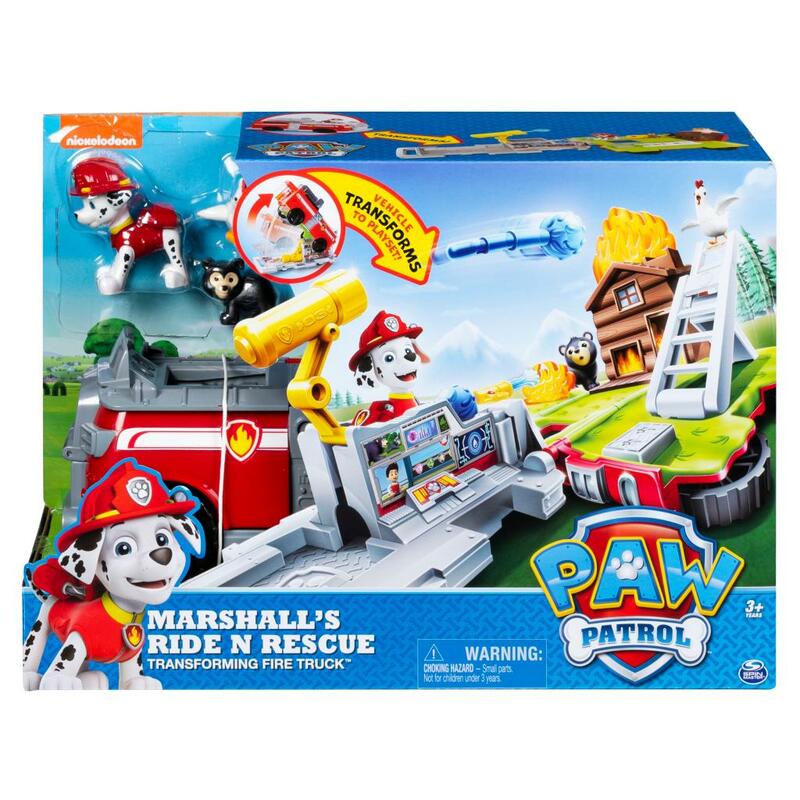 With three rescue missions to complete, it’s Marshall to the rescue! 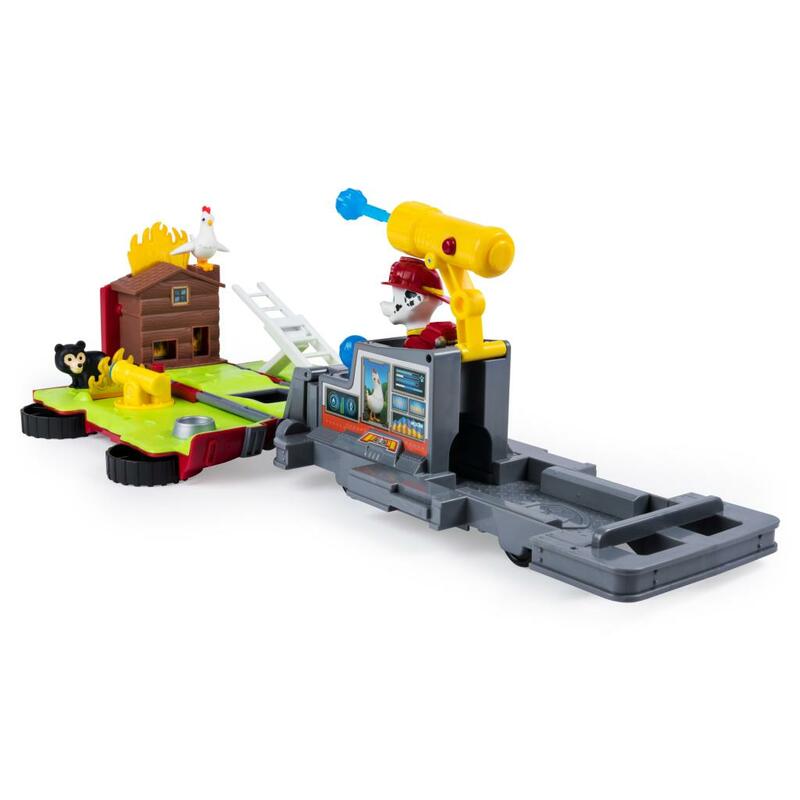 Place the collectible Marshal figure (included) in the mission control center and load the water cannon projectiles (included) into the launcher. Aim and launch the water cannons straight into the flames, putting out the fire. 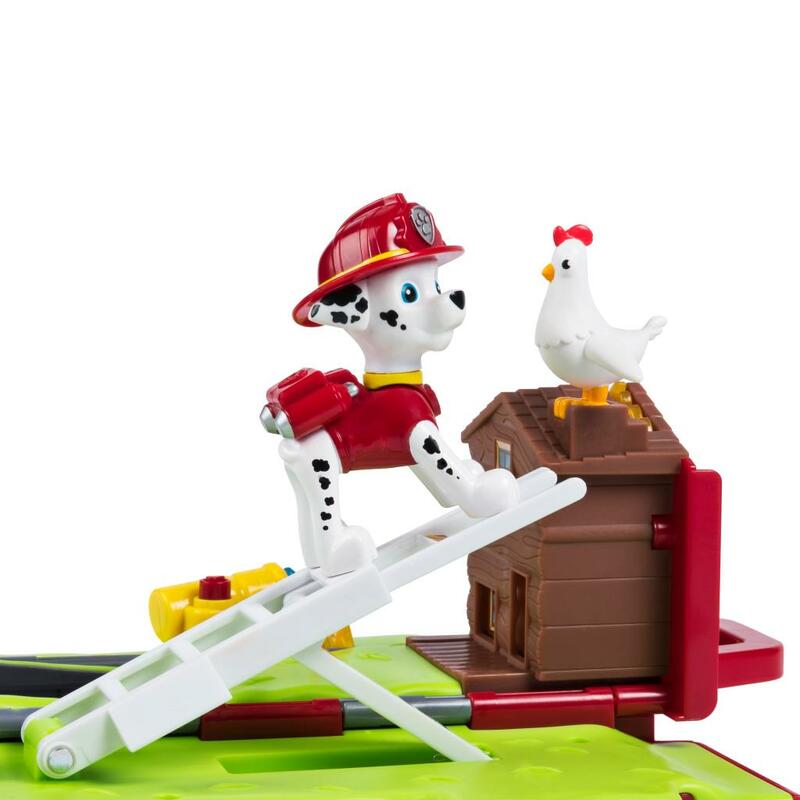 Next, place Marshall on the ladder and use it to rescue Chickaletta. Finally, help Marshall use the smaller water cannon to put out the fire and save Teddy. 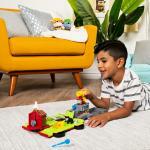 Close up the playset, put Marshall in the driver’s seat and use the working wheels to race to the next adventure! 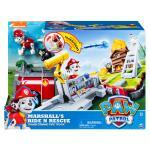 Open up an action-packed world of play with Marshalls Ride ‘n’ Rescue 2-in-1 Playset! TRANSFORM VEHICLE INTO PLAYSET: Open up the action-packed world of PAW Patrol with Marshall’s Ride ‘n’ Rescue! 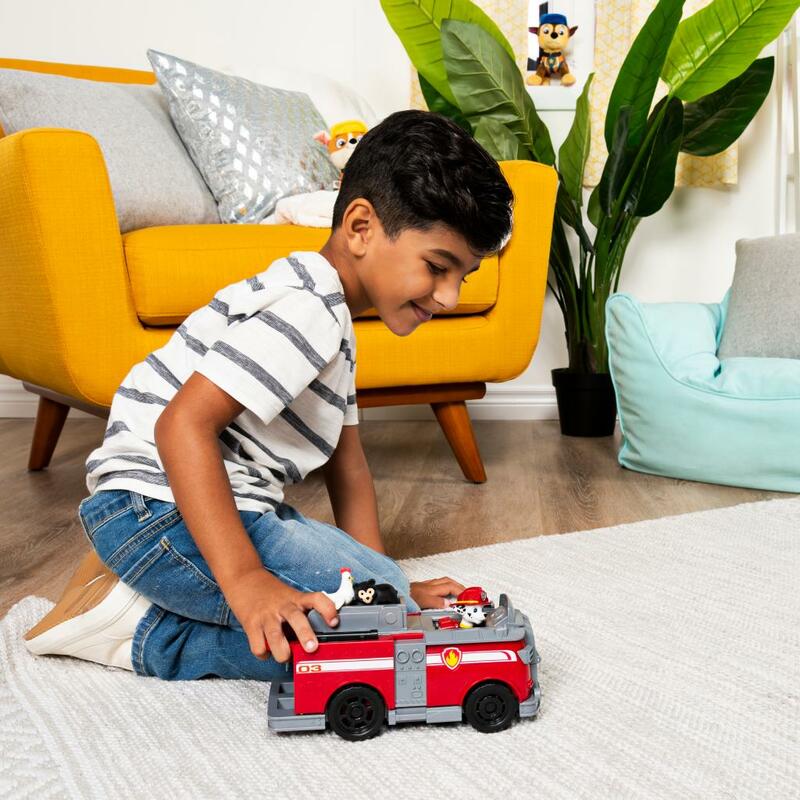 Kids can unfold Marshall’s Fire Truck and discover a scene straight out of Adventure Bay! 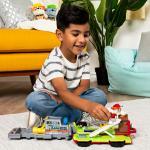 USE THE LAUNCHER: This 2-in-1 playset even comes with a launcher! Aim and launch the water cannon projectiles to put out the fire! 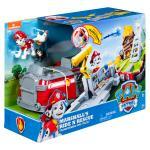 Marshall’s Ride ‘n’ Rescue is a great gift for kids aged 3 and Up. Unfold a world of adventure!